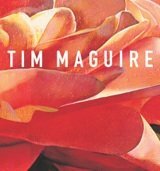 Tim Maguire paints images of overwhelming beauty. His works are frequently cinematic in scale and distinctive for their rich colouration and technical skill. Paintings hover between realism and abstraction. The texts are by two leading art historians plus a personal response by Cate Blanchett to one of her favourite artists.